Air Bubble Ships UPS. 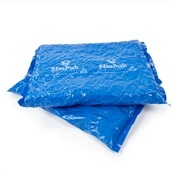 Perforated every 12 inches, recommended for short shipping cycles. 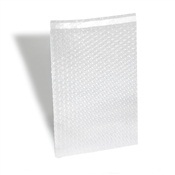 Clear Economy Perforated Air Bubble Dispenser Box. 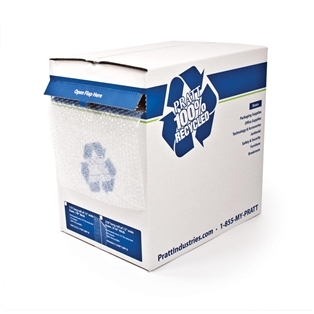 Comes in a dispenser box for fast and easy use protecting your products. 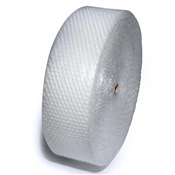 Bubble withstands pressure and abuse absorbing and cushioning against shock and impact. Protects edges and sharp corners from damage. Excellent form of void fill. Protects edges and sharp corners from damage. 100% recyclable CFC free. 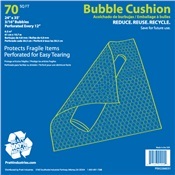 Perforated every 12 inches, recommended for short shipping cycles. 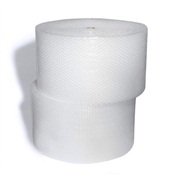 Clear Economy Perforated Air Bubble Dispenser Box. 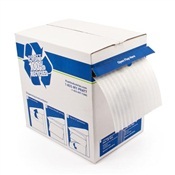 Comes in a dispenser box for fast and easy use protecting your products. Protects edges and sharp corners from damage. 100% recyclable CFC free.